Everyone must have a homemade tomato sauce in their arsenal to prepare the fire pasta dish. Now jar sauce is great especially if you find a brand with little to additives. They come in handy in a pinch and get the job done whenever you’re in a bind. However, there’s nothing like a slow simmered homemade tomato sauce. 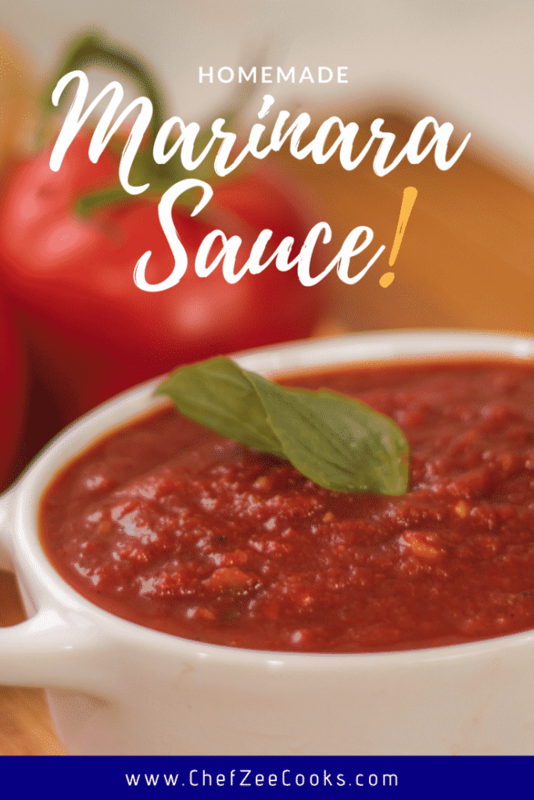 My go to red sauce is a Tomato Basil Marinara Sauce that’s been slowly stewed and kissed my red wine. 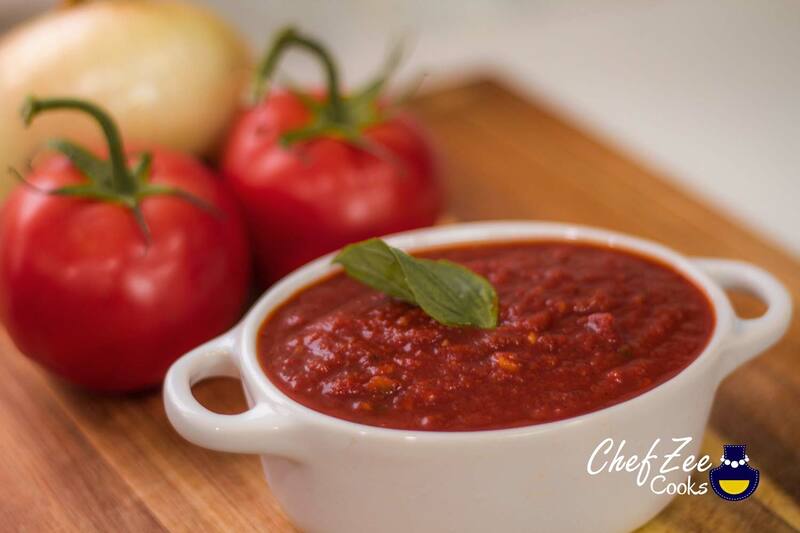 My sauce is easy to make, has fresh ingredients and has a sultry depth of flavor thanks to the Cabernet Sauvignon that I like to add. I’ll admit– when I first started cooking years ago I ate a ton of pasta yet I was scared to make my own sauce. Each time I tried, I failed miserably and that was because I was trying too hard– imagine?! The secret to making a great sauce, is to let the ingredients speak for itself. In fact, that’s what I think Italian food is all about: simplicity. Italian food is relatively simple. It’s all about the integrity of the ingredients that you’re using. If you’re using basil, making sure it’s the freshest basil that you can find. Or even better, make sure you find the best crushed tomatoes! Now my recipe doesn’t require you to have your tomato farm or herb garden, but it does require that you use all fresh ingredients. This sauce tastes better the next day or when it’s had a chance to rest for a few hours. The wine is optional.